Al-Aani's death was reported last Thursday. The poet, who published three collections, was reportedly kidnapped last fall. According to media reports, Al-Aani and his son were originally held in an undisclosed locations with 100 others after they attempted to leave an area of the city that was besieged by IS forces. Reports emerged in recent days that both al-Aani and his son were killed after IS accused them of ‘apostasy’. 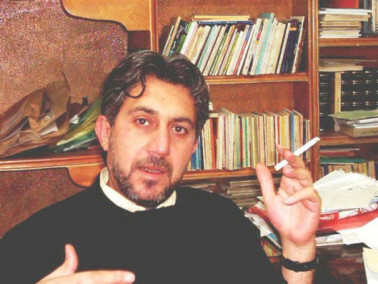 Al-Aani, the PEN statement continues, was known for his opposition to the Bashar al-Assad government. According to family members, the poet and his son had returned to the area to bury his wife, who had died in Damascus, when they were kidnapped. We are shocked and deeply saddened by reports that Mohammad Bashir al-Aani and his son Elyas were murdered by the militant group Islamic State which had accused them of ‘apostasy’. The deliberate murder of civilians during an armed conflict is a war crime and both those who commit them and those who order them must be brought to justice. We call on all actors involved or with interests in this conflict to use all diplomatic means possible to ensure that no more civilians – including writers – are killed.